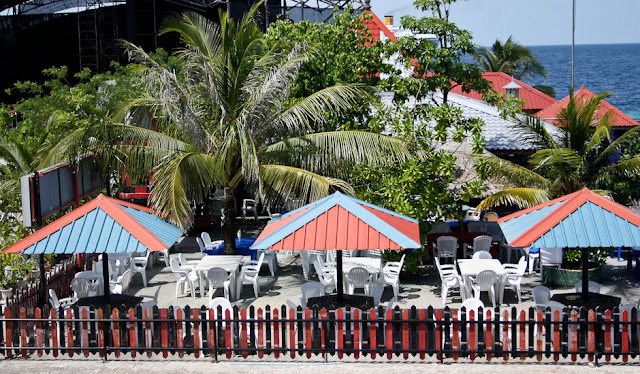 When Trends in Nasandhura closed down a few years ago, we had to find an alternate to place to meet up and have coffee. Someone suggested Lily's and it stuck. May be because it is easier to park our bikes around Lily's than most other coffee places in town. But you have to find somehwere far away to have coffee if it's the wrong season of the year. When the big swells appear on the ocean the waves break right over those roofs, you see. Nice picture of Lilys! Guess it was shot from Dolphin.